Before turning thirty, I was often asked if I was doing anything special for the big day. 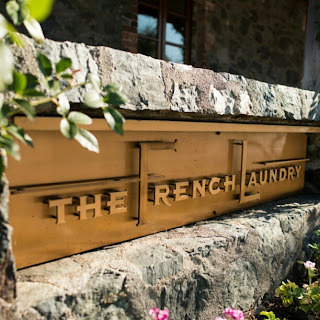 As food consumes most of my thoughts, I thought, maybe this might justify a visit to the French Laundry. I really didn't know much about it except that it is regularly voted one of the top restaurants in the world, it is local, and it is really expensive. Several years ago, my morning radio DJs were talking about it, and caller after caller called in to talk about their experience and how much they spent on the meal. The common thread with all the callers was that the price was worth every penny. A secret thought in the back of my mind was now coming to the forefront as my birthday approached. I shared this idea with Peter and others who asked, but never thought it would actually happen. And a couple weeks before the big 3-0, Peter told me about his secretive and futile attempts to get a reservation for us. He explained that they only take reservations exactly 2 months in advance. So if we wanted a reservation for a Saturday in December we would need to call at 10am on a Saturday exactly 2 months prior. 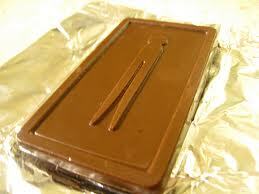 It was a sweet confession to hear that he had been trying to get this allusive reservation. 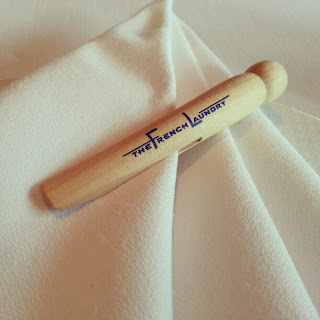 The following week, just a week before my birthday, I learned that through the help of Tracy and Google Concierge, that a reservation was made for February 23 at 7:30. I was shocked and excited but as the day grew closer, I became more and more nervous. What will it be like? What if it isn't that good? What if my palate isn't sophisticated enough? Am I a phony? What should I wear? 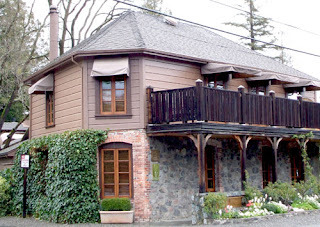 This anxiety was amplified even more once we arrived in Yountville. The small town was full of fancy restaurants, tasting rooms, art galleries, and seemingly rich, white folks. The anxiety triggered my inner robot to shut down leaving Peter to try his hardest to cheer me up. After failing to find something to do or eat, we found ourselves at the local grocery store. We bought some wine and some snacks and headed back to our room at the Lavender Inn. After unwinding with some wine and soaking in a deep tub, I was finally able to relax a little and return to being human again. 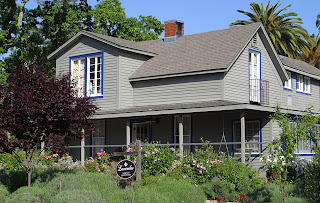 The following day, we met up with Nate and Tracy to find something to do in Napa Valley. After some overpriced tacos and some wandering, we finally found something that looked promising; the Skyline Wilderness Park. Complete with archery targets, frisbee golf, horse back riding, mountain biking, and hiking. As we unprepared to do all these things, we proceed to do a small hike in our less than steller shoe attire. We returned to our rooms with three hours before the big night and I was sure that a nap was in my future. But alas, I was too nervous to take a nap. Me, a napping all-star could not sleep! I was hoping to try and blow dry and curl my hair, two things I have never done well separately, let alone try and do it together. So after a shower and a couple youtube videos, I was ready to step up my game. The final product was not so bad. A little messy, but I was still pretty proud of myself. Walking to the restaurant, Peter continued to try and calm my nerves. We walked in to see Jesse and Sara waiting in the salon and were shortly greeted by Nate and Tracy. We walked upstairs to our table. 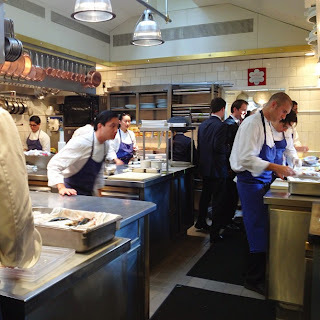 The hushed tones, all men wearing dinner jackets, the uber professionalism of staff made us all take our seats quietly and whisper to each other across the table. We were then joined by our amazing server, Angela, and our personalized menus. Modern day social media almost requires photos of your meal, but in such a setting, it is discouraged, especially flash photography. A few of the following images were taken at the table but most are images I was able to "borrow" from others online. 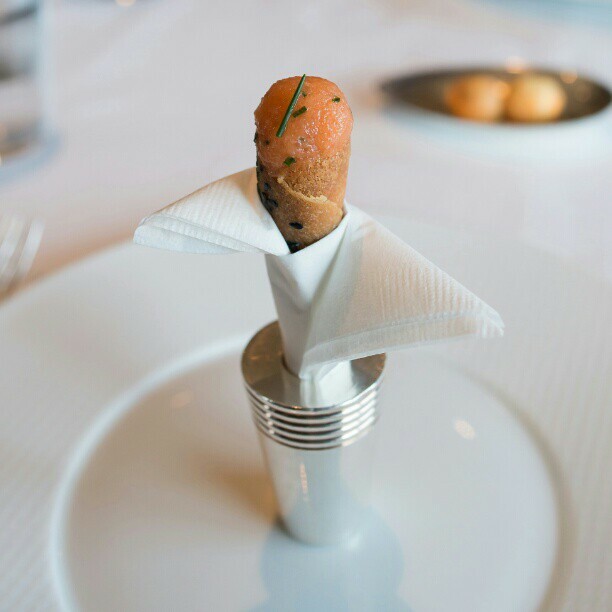 #1: Amuse Bouche. 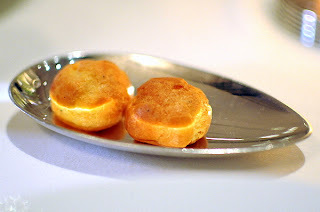 Gougeres and a Salmon Tartare Cornet. 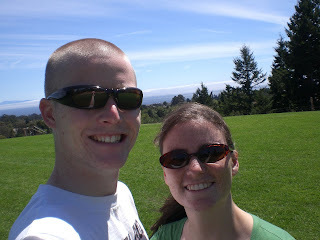 I wasn't sure what I was even looking at, even after one of the runners proclaimed what we had in front of us. Gougeres are savory pastry with a cheese filling. They were super yummy and a easy, familiar way to begin the meal. The salmon tartare cornet made me nervous but it is one of the most outstanding things I had that night. Salmon, a fish that usually makes me dry-heave, was rich and delicious was even better accompanied by the black sesame tuile (the cone) and the creme fraiche (the filling). This is probably the one food item I keep thinking about. #2: "Oysters and Pearls". 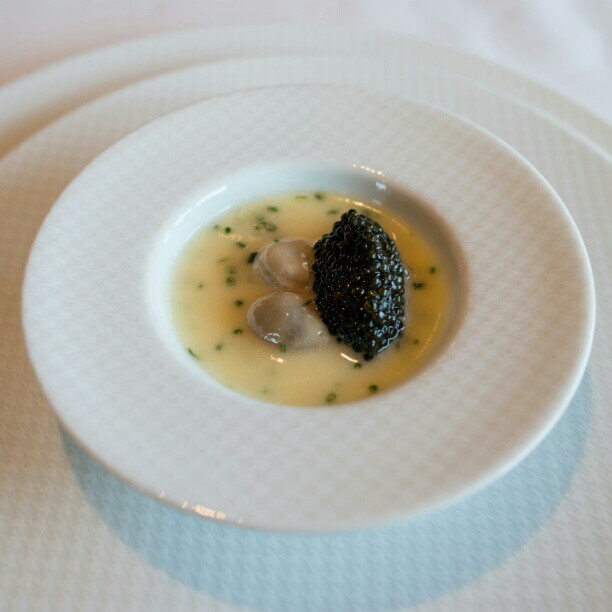 A "sabayon" of pearl tapioca with island creek oysters and white sturgeon caviar. 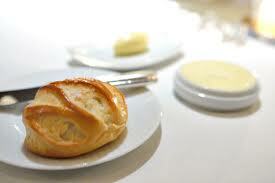 Apparently, this is a signature dish of Thomas Keller. It's been on the menu since the very beginning. I've never had caviar but nervousness was beginning to fade after the finger food we just ate. I took a small bite of the caviar and the tapioca and wasn't sure what to think. It was a taste i had never really experienced. It was salty and briney, but there was something else I still can't describe. 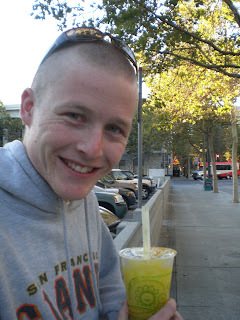 Together with the tapioca, it was a perfect harmony. I'm still confused by this one except I do know that I want to eat it again. #3: Salad of Baby Beets or "Carnaroli Risotto Biologico". Parmesan "Nuage" and Shaved Black Truffles. Most of table opted to upgrade their salads to the risotto which when presented with the two at the table, it seemed like those of us who orders the risotto won. They brought out a humidor to show off their black truffles. I imagine it's a similar practice to displaying a bottle of wine before you uncork it. 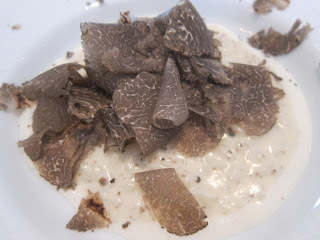 I was the first one they served and the runner began to shave the black truffles over my risotto. I wasn't sure if I was supposed to tell him to stop, but I decided that they should know what the proper amount was, so I let him keep adding more and more truffles. I was shocked at how much they added to the top of the risotto. 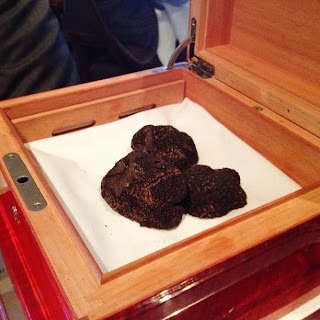 Knowing how valuable truffles are, it was worth the $75 upgrade. It was an outstanding dish. I hate fish. I know there would be fish on the menu and knew going into the evening that I would eat everything that was brought to me. So, hesitantly, I took my fork and began to break it into smaller pieces. Each time I took a bite, I mixed it with a different item on the plate. Each ingredient worked perfectly with the bass and with each other. 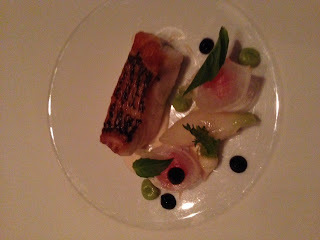 And it might sound as an over statement, but this dish was mind altering for me. Never before had fish tasted this good! At this point, I was becoming giddy with excitement. What was going to come next? Each dish is not that big and it leaves you craving more. I was bouncy in my seat waiting for the next dish! 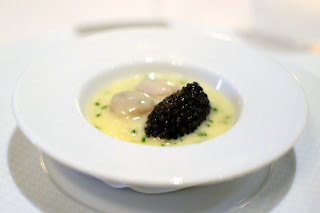 #5: Stonington Maine Sea Scallop "Poelée". Lobster Knuckles, Sunchoke, Almonds, Grapes and Cilantro Shoots. This was a favorite for some at the table. For me, this could not beat the amazing moment I had just had with the bass. No one at our table took a picture and I can't find a comprable picture online from previous guests. #6: Wolfe Ranch White Quail Breast. Melted Green Garlic, Black Trumpet Mushrooms, Parsley Shoots and Wild Mushroom Velouté. This one was dang good. Most of us made an fatal error when we excitedly ate our dinner rolls too quickly and had nothing to soak up the amazing mushroom sauce beneath the quail. That sauce stands out more than the quail itself does (and that little sucker was cooked perfectly). 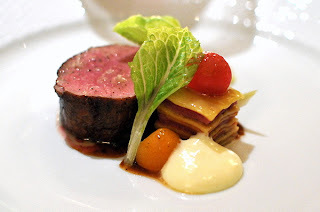 #7: Marcho Farms Nature-Fed Veal Tenderloin. Heart Lasagna, Artichokes, San Marzano Tomato, Moroccan Olives and Arugula. Eating veal was another first for me. And as expected, it was amazing. The surprising thing about this dish was the adorable lasagna that accompanied it. The meat in the layers was a bit of a shock. No one could figure out what is was. To me, it reminded me of pâté or liverwurst As it turned out, it was thinly sliced veal heart. It was a powerful flavor, but what made it and the lasagna really enjoyable was this tomato marmalade. It was able to cut through the strong flavors in the lasagna and bring it together. 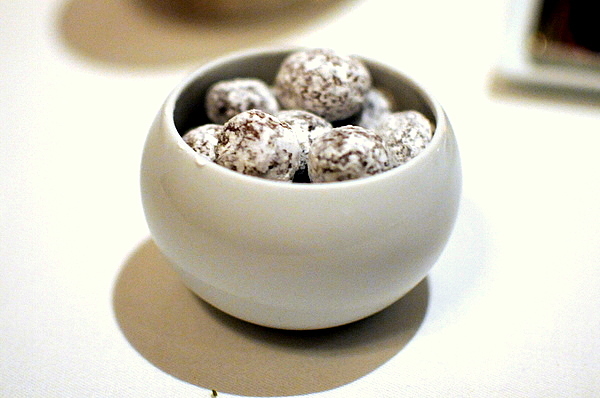 #8: "Brebis Pyrenées". Royal Blenheim Apricot, Piedmont Hazelnuts, Young Fennel and Black Truffle. Not much to report here. Just an great sheep's milk cheese plate! There are other pictures online of other "brebis pyrenees" but not quite like ours. The idea remains the same but the ingredients and change with the seasons. #9: Pomegrante "Soda". Jasmine Ice Cream and "Fleur del Sel" Shortbread. This was our palate cleanser. Again, amazing. It was bright but bold. Tangy and sweet. No pictures of this one but I found someone who had something similar. 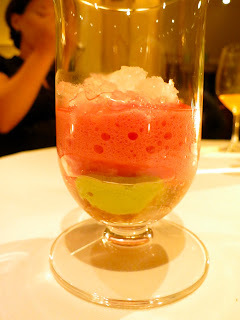 Ours looked about the same, save the green tea ice cream in their glass. #10: Passion Fruit "Swiss Roll". 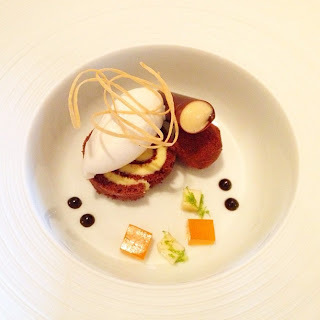 Valrhona Chocolate Cremeux, Caramel Mousse and Banana Ice Cream. At this point, most of us were beginning to worry if we could fit any more food in our stomachs. But with something this good, I could not resist, otherwise I would be mocked endlessly by Jesse. 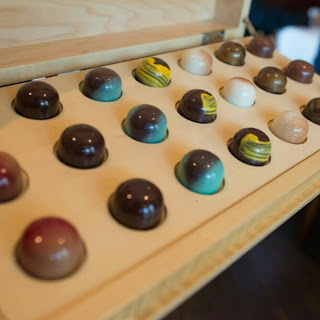 These were beautiful chocolates. We were told to take as many as we wanted. Going first, I balked at the offer and only took one. 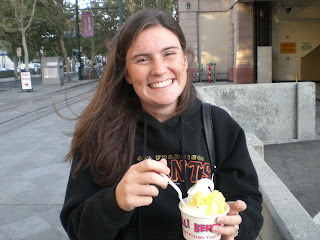 I had a white chocolate one with coconut. When I watched everyone else take two or three, I was a little sad that I didn't ask for another, but with the room in my belly shrinking, I wasn't even sure I could fit another. #12: "Coffee and Doughnuts". Cappuccino Semifreddo with Cinnamon-Sugar Doughnuts. I was shocked when they continued to bring more food the table. 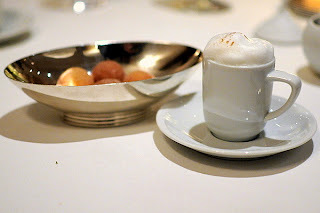 I was so full at this point, I couldn't finish my cappuccino semifreddo since I had to make room the doughnuts. I think I made the right decision. In addition, they served chocolate covered macadamia nuts which I wish I could have thrown into a purse to take home! We were all given the last item to take home, and as the birthday girl, I got both a tin of shortbread and a chocolate bar. 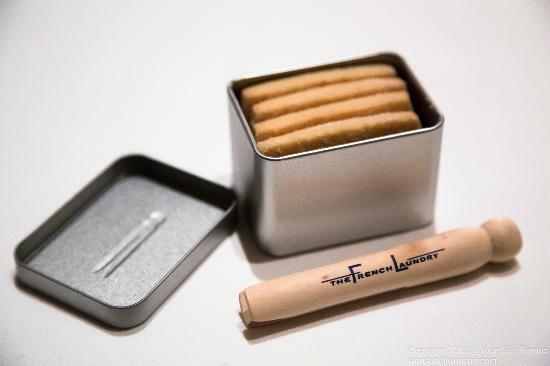 Naturally the shortbread was wonderful and had me thinking that shortbread cookies don't get enough credit. After our meal, we went down to kitchen to get a peek of the action. Things were winding down but it was strikingly clean and organized-everything that chefs get lectured about on television cooking competitions. After such an exciting meal and some of the best wine I have ever had, our very chatty table became very quiet in the presence of these professionals. This was an incredible night I will never forget. And while this blog was too long, I wrote it so I could record as many details as I can remember so that when I look back on this, I can relive it as much as possible. But now, I am consumed with the thought of returning again some day. A huge thank you to Peter and Tracy who made the reservation possible but a thank you to all my dinner mates who made this evening so fun. 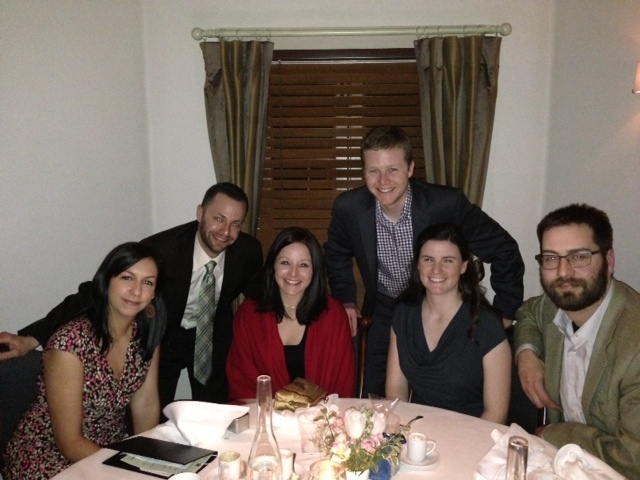 Thank you Peter, Tracy, Nate, Jesse, and Sara for joining me for such an amazing meal. Peter is right, we are all very blessed to have each other and to have this opportunity to even do something like this. I love you all. With my future job looming only a week away and no real job to keep me occupied, i begged and pleaded with Peter to take a day off for another installment of Peter and Grace's Day of Fun. And when i say "begged and pleaded", i mean suggested and was quickly appeased. =) Our day began with a little sleeping in, and then a trip to Santa Cruz. First stop - Chaminade for checking out its potential weddingness. Next stop, Zoccoli's for our favorite sandwiches. Then on to the engineering building on UCSC campus to surprise Peter's college boss, Carol. We succeeded and were greeted with lots of hugs in addition to a picture of Peter taped to her wall. Carol loves him. Next stop, the catering department to chat about holding a wedding/reception on campus. Got some info, not a lot, but took some pics while we checked out one of the locations. After an afternoon in the sun and doing some wedding errands, we headed back downtown Santa Cruz to see a movie...no go...we missed the movie times. No problem! We can't be bothered on our day of fun, so back home to San Jose and a movie downtown. While all the other schmucks were waiting for work to end, Peter and I bought a package of two pitas, two bags of chips, two sodas, and two cookies, and two movie tickets courtesy of the Pita Pit's "Hot Date Night". Next a funny movie, Step Brothers, and candy. Since Peter and prefer different sugary treats, we each got out own candy. Sour Patch Kids for him, Whoppers for me. And to top it all off, on our walk back home, we passed the local hawaiian bbq/tapioca/slushy/frozen yogurt place and decided to treat ourselves to another treat. It was Peter and Grace's DOF, after all! I encourage you all to play hooky and have a DOF! 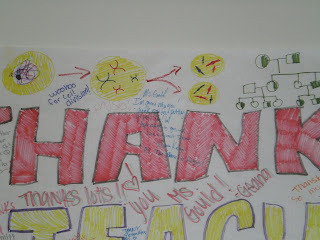 Two months ago, I finished my first year of teaching at Oak Grove and I was beginning my summer job with Camp Galileo. 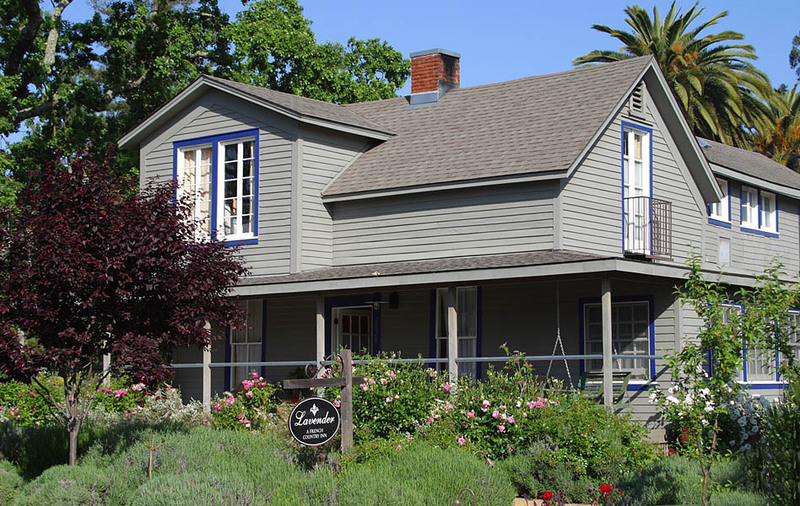 During those two months i worked 7 weeks of camp, vacationed in Hawaii, got engaged, moved out of our Sunnyvale apartment to a townhouse in downtown San Jose, worked 2 weeks at the Tech Museum summer camp where I designed my own curriculum for Junior M.D. class, spent a stressful week interviewing for a job, and got a job back at Oak Grove for the upcoming school year. With only a week left before I reenter a high school classroom, I am amazed looking back on my summer how i managed to fit it all in. Our view from our condo in Poipu. 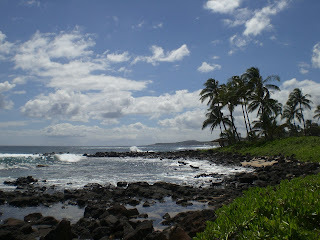 The beach outside our condo was rocky but beautiful. 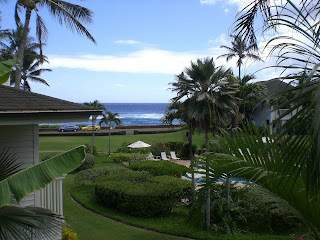 Luckily, the Sheridan Hotel was only yards away, so we took advantage of their beach and amenities quite a few times. 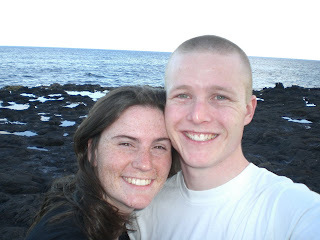 Peter and I at Spouting Horn moments before he proposed. 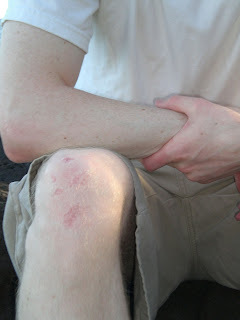 Peter's knee after he proposed. 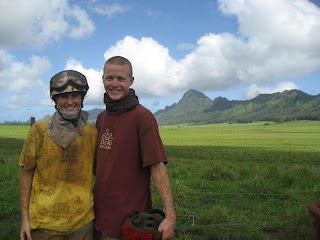 And we also got a little dirty. Ever since Hawaii, I've been trying to recapture it by wearing shorts or dresses which is extremely unusual for me. But since our trip, a pair of shorts brings flashes of relaxed, lazy, and carefree memories of being in the most beautiful place with the man I love. Today was the first day of Camp Galileo. Here's some proof of my transition from teaching high school science to teaching crime solving to first and second graders. 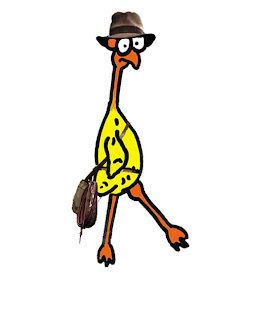 I have spent the last hour photoshopping together an imaginary character called Indiana Chicken, who has traveled to the Temple of Karnak, only to find all the artifacts missing. Our task...solve the crime and recover the artifacts. Last week, I finished my first year of teaching. When I say first year of teaching, I mean 8 months of teaching full time with half my curriculum already designed for me. 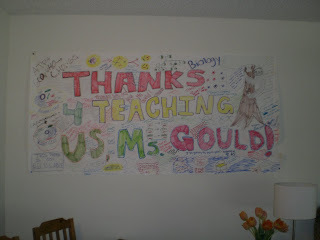 I was lucky to begin my teaching in my student teaching classroom. My master teacher took maternity leave in October, and I got to take all her classes AND get paid. Sweet. 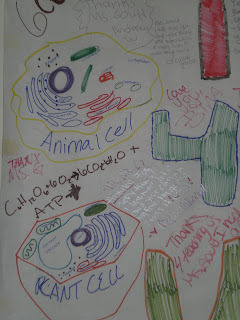 She had curriculum already for her physiology classes, so I was responsible for creating original material for only biology. That definitely lifted a weight off my shoulders. After watching my dad go through his first year of teaching only a few years ago, I feel very lucky to have found the position I did. And next year, I will have a head start with a bio and physio curriculum already in my possession. The school year ended early for me since my master teacher had to return to work for the last two weeks of school which meant that I would leave, she would return, and our students would have to transition to a new teacher. I think the fact that I was leaving so unexpectedly made a bigger impact than if I had stayed the entire year. The students were nervous but extremely sweet even with one student trying to figure out if most of my 150 students rallied and contributed $10, maybe they could pay me to continue teaching for two weeks. On my last day, during second period biology, we had finished early having just completed a test (yes, I give tests on my last day), a couple students asked me to the back of the room to answer some questions about next year; requirements for chemistry, expectations for physiology, etc... Then I heard a rustling sound behind me and quickly turned around (they say in school, never turn your back to our students. 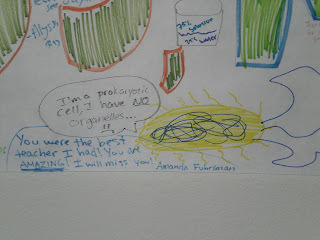 oops) and found other students hanging up a huge banner on my white board. Here are a few favorite parts. After second period, my other classes saw the poster and added their names and short messages. It turned out to be my version of a year book. On top of that, fourth period planned a party in my honor and got me cake and a card. It was a great day! I miss my kids but I'm excited to have received my credential this year and have a year of teaching under my belt. Now I just have to find a job for next year! One bad thing about teaching. Not urinating. I have to hold it in all day so much that i forget to pee when i get home which is bad news for my bladder. One good thing about teaching. At the beginning of the year making judgements about certain students who have now turned out to be some of my favorites. Peter, Radhika, and I have joined a softball team with my old and Radhika's current employer, MyGym. The team is made up of the owner and some employees (myself being the only ex-employee) and significant others. I have been playing 3rd base recently which is way hard. Peter and i have been working on me not being afraid of grounders. I am always terrified that they will pop up out of my glove and hit me in the face. Last Wednesday's game included the fastest ball to come my way so far. Naturally, I shrieked and avoided it. Not the proudest moment of my softball career, but it was scary! I did have one redeeming moment when i caught a line drive, though. Other highlights included hitting 3 for 3, getting hit in the chin by a bobbled toss, and losing the game by 20 runs. Peter has played in a couple games but has to share his position in the line-up since we have more guys who want to play than there are positions. We generally have more girls than there are positions, but some are more hesitant to play than others. But i am in demand, so i always get to play the whole game. So even if i feel bad about a play, i have to remind myself that i rock.